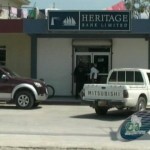 The Orange Walk branch of Heritage Bank was robbed of over two hundred thousand dollars shortly after midday on Tuesday. The suspicion was that the robbery was an inside job because it was carried out smoothly. 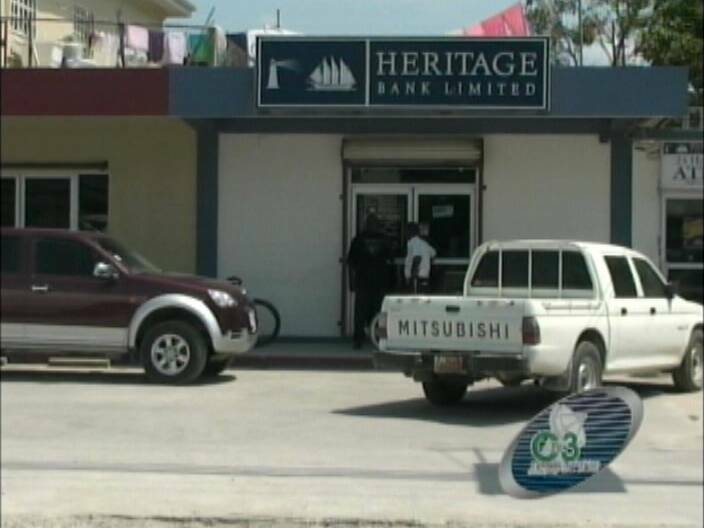 Three persons, including one female, have been questioned by police and are expected to be charged shortly. 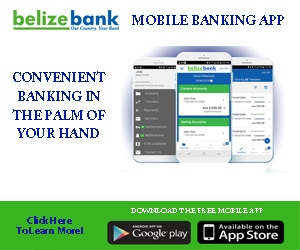 It follows a search at a house on the south side of Belize City, where police found an undisclosed amount of money along with receipts for jewelry and furniture recently purchased with what is believed to be proceeds of the bank robbery. Police are also questioning a female employee linked to the bank, who lives at the house that was searched. The break came when the suspects were identified from the surveillance camera images as they removed their sunshades while exiting the bank. WE are now dealing with HIGHLY SKILLED CRIMINALS………….. THE POLICE NEED SOME HIGH SKILLS TOO………….. Ask THE US or THE UK for help to train our POLICE and some resources ………….. I admire the police for catching these criminals again, seems that they usually do. If only the hangman was as effective, we would have few criminals left. Good police work. If sunshades were their disguises & these idiots removed them in front of the surveillance cameras, they should be given sledge hammers, chained to each other & the rest of the criminals & made to bust rocks or their fellow convicts who are not working as hard as they should. $200,000, enough to lay low for a while & figure out how they can use their ill gotten gains to start a legitimate business or build a couple decent homes & these fools start out by trying to give it back by buying cheap overpriced trinkets. I agree with you Earl but our PM is too proud to beg not too proud to steal from the people but too proud to beg, now tell me which is a disgrace. Remember, My Legacy B 4 My People. black people again they are lazy let their @$$#$ work they want easy money!!!!!!!!!! kirian azueta……………WHY THE NEED FOR RACIAL REFERENCE???????????????????????? ALL AH WE DA ONE!!!!!!!!!!!! I am not sure how highly skilled these people are. Removed their sunshades before leaving the building? Went on an immediate shopping spree? One of the employees lives in the same house? Sounds like amateur hour to me. Any thug with a gun can rob a place. Just takes guts with a little ignorance. How long will their sentence be? Or can Trickie Dickie have these charges dropped? Karina Azueta.. seriously girl… you sound so racist saying something like that! do not generalize all black people cuz all of them are NOT LAZY! get your stats correct. nonsense like these make intelligent people upset! Like the saying goes. Under this Government we have to beg, thief or Barrow!!! If they’re BLACK they’re BLACK!!! BLACKS ARE THE ONES COMMITTING 95% OF THE CRIMES IN BELIZE AND KILLING EACH OTHER. THE TRUTH HURTS SOME PEOPLE BUT IT DOESN’T CHANGE THE FACTS. FEED THEIR BLACK @$$E$ TO THE ALLIGATORS AT THE ZOO!!! AND THIS IS COMING FROM A BLACK PERSON! First of all, El Salvador and the other Spaniards invested countries are the ones with the fullest crime rates..Not much Black ppl there geniuses. Look at Mexico… are blacks causing the war of drugs up north. On another note, these bank robbers are not too bright. Too eager to reap the gains, I guess. Haha!!! I had to laugh from some of these messages . But yes I guess we don’t have to generalize .I hope they really get punishment for there actions tho. Cause I think we BELIZEANS are getting tired of these ppl causing so much crime in our country .